What these men express is a worldview that is not merely non-Christian but anti-Christian. Challenges like these can occur at any time and in any place to anyone who bears the name of Christ. How would you respond? Do you have the answers to these challenges and others? Or does the prospect of such challenges cause your faith to shrink in fear? Well, be not afraid. There are solid answers to each and every objection raised by the godless. 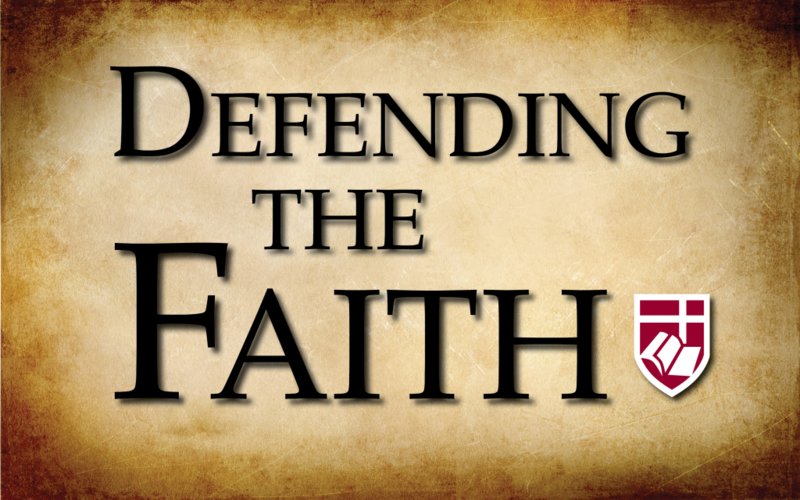 The Defending the Faith class will equip adults to answer these objections to Christianity. This is class is open to the public. There is no cost other than purchasing a copy of Lee Strobel’s book, The Case for Christ.